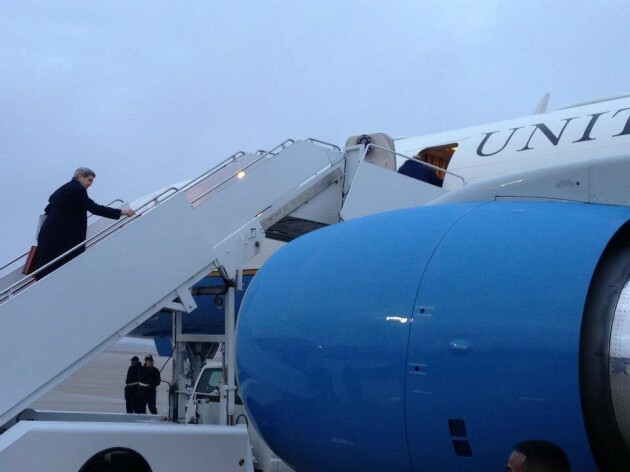 This past Sunday, United States Secretary of State John Kerry departed for his overseas trip to Europe and the Middle East. But WAIT. Isn't he forgetting an important friend? Israel…? How can the US Secretary of State not visit Israel, our strongest democratic ally in the Middle East, on a diplomatic trip to Europe and the Middle East?! Apparently, Secretary Kerry’s actions are in no way atypical. In fact, only four of the last eleven presidents visited Israel during their time in office, two of which waited until their second term to do so. (President Obama also did not visit Israel during his first term, but is set to voyage to the Promised Land this spring). Some argue that visiting Israel is not a pressing concern because of our strong ties. US-Israeli trust and cooperation does not necessarily require our officials to meet face to face. Is our relationship with Britain not just as strong? And France? The US maintains a strong, if not just as strong, bond with either country as it does with Israel, and yet they are not forgotten on official diplomatic trips. Perhaps the United States’ priorities have changed. After all, Former Secretary Hillary Clinton made her way to our close friend on her first overseas trip as Secretary of State. “[America] is a strong friend of Israel’s. If you were friends with someone for 65 years, wouldn't you at least say hello if you walked down their street?